Books I Read in July (And Whether or Not You Should Read Them) | The girl who loved to write about life. Plot: "The Hamptons hath no fury like a woman scorned. No matter what the world throws her way, at least Ruthie Beamish has the house. Lovingly renovated, located by the sea in a quiet Long Island village, the house is her nest egg - the retirement account shared with her ex-husband, Mike, and the college fund for their teenage daughter, Jem. The catch? To afford the house, Ruthie must let it go during the best part of the year. It's Memorial Day weekend, and Ruthie has packed up their belongings for what Jem calls "the summer bummer": the family's annual exodus to make way for renters. This year, the Hamptons set has arrived. The widow of a blue-chip artist, Adeline Clay is elegant, connected, and accompanied by a "gorgeous satellite" stepson. But soon Adeline demonstrates an uncanny ability to help herself to Ruthie's life - her house, her friends, even her husband (okay, ex-husband, but still). And after her job as the director of a local museum is threatened, Ruthie finally decides to fight back. Meanwhile, away from the watchful eyes of her parents, Jem is tasting independence at her first summer job but soon finds herself growing up too fast. One of Ruthie's employees, a master of self-invention named Doe, infiltrates the inner circle of an eccentric billionaire and his wayward daughter. With a coterie of social climbers and Ruthie's old flame thrown into the mix, the entire town finds itself on the verge of tumultuous change. By the end of one unhinged, unforgettable summer, nothing will be the same. In a novel packed with indelible characters, crackling wit, and upstairs/downstairs drama, Judy Blundell emerges as a voice for all seasons - a wry and original storyteller who knows how the most disruptive events in our lives can twist endings into new beginnings." My thoughts: I liked the writing. I liked the characters. I liked the plotlines. But there was WAAAAAY too much happening. Way too many characters and side plots. Because there was so much happening it felt like we only get a small taste of every little thing, and then oh, the book is over. So no real closure on anything, you know? Should you read it? Meh. Plot: "You Are a Bada** at Making Money will launch you past the fears and stumbling blocks that have kept financial success beyond your reach. Drawing on her own transformation—over just a few years—from a woman living in a converted garage with tumbleweeds blowing through her bank account to a woman who travels the world in style, Jen Sincero channels the inimitable sass and practicality that made You Are a Bada** an indomitable bestseller. She combines hilarious personal essays with bite-size, aha concepts that unlock earning potential and get real results." My thoughts: I loved her first book, so of course I was excited to read this one. No surprise, I loved it. She really dives into changing your mindset, and I liked that. Like, why are we embarrassed to talk about money? We shouldn't be! Why are we embarrassed to want more money, like it's a bad thing? We shouldn't be! It's a quick read and the audible version is only 7 hours long. It's a great book to listen to on your commute. Plot:"Do you ever suspect that everyone else has life figured out and you don't have a clue? If so, Rachel Hollis has something to tell you: That's a lie. As the founder of the lifestyle website TheChicSite.com and CEO of her own media company, Rachel Hollis developed an immense online community by sharing tips for better living while fearlessly revealing the messiness of her own life. Now, in this challenging and inspiring new book, Rachel exposes the 20 lies and misconceptions that too often hold us back from living joyfully and productively, lies we've told ourselves so often we don't even hear them anymore. With unflinching faith and rock-hard tenacity, Girl, Wash Your Face shows you how to live with passion and hustle - and how to give yourself grace without giving up." My thoughts: If you follow me on here or on instagram, you've seen me raving about this book. 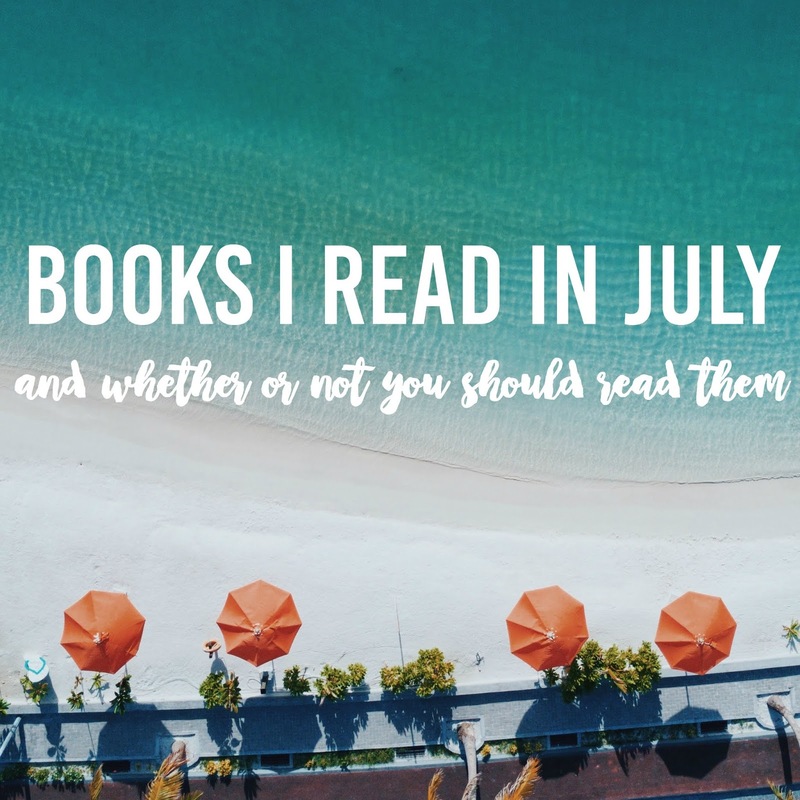 My feelings about it are too much to fit in a post shared with other books, so I've got a full post dedicated to why you should read it coming up soon. In the meantime, I'll say this: I can, without a hint of exaggeration, say this book changed my life. It was exactly what I needed at exactly the right time. I want everyone in my life to read it. Should you read it? YES. NOW. IMMEDIATELY.